The colors are just perfect for our home. It takes a while for it to straighten out, though. We love it and recommend it. 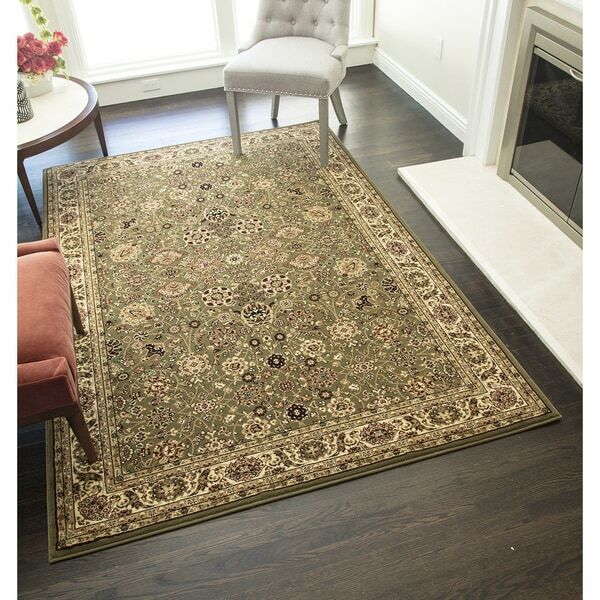 Safavieh Handmade Classic Green/ Ivory Wool Rug - 9'-6" X 13'-6"
Astoria Green/ Ivory Traditional Area Rug (10' x 12'7) - 10' x 12'7"